Relentless. Clinical. Destructive. Last season's Liverpool were back as Emery's Gunners were put to the sword. “Show them the way to go home” sang the Kop lustily. Arsenal were beaten, weary and dishevelled; dismembered by a Liverpool team which knows no fear, a Liverpool team which treats all-comers with disdain on its inexorable march to the title. A margin of victory by five goals to one didn’t do justice to the Reds’ dominance in front of a crowd which is savouring every moment of this unprecedented surge to the summit. Each emphatic victory evokes memories of Kenny Dalglish’s 1987-88 wonderfully entertaining side. It almost feels like sacrilege to suggest so but Jurgen Klopp’s creation; so flamboyant and yet so ruthlessly efficient is in the midst of putting even Liverpool’s most heralded names in the shade. Arsenal had the temerity to take the lead but in doing so were merely prodding the beast. When Ainslie Maitland-Miles stabbed home from Alex Iwobi’s searching cross in the 11thminute the sense of shock on the Kop was palpable but the roar of defiance that followed was enough to rouse even the faintest hearts. However, there is nothing meek or submissive about this Liverpool team and their response was to treat the Gunners’ lead as a mere affront. 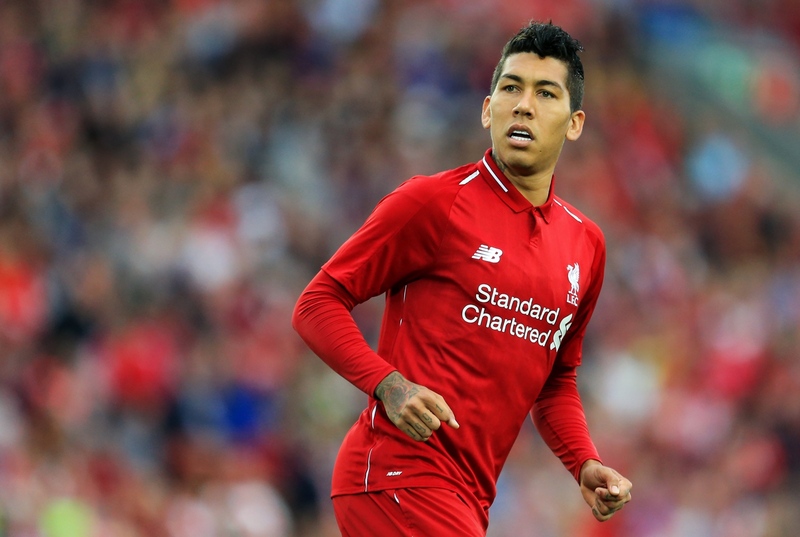 In Roberto Firmino Klopp has a gem of a footballer, the conductor of an orchestra but a gnarly street fighter who relishes the scrap and refuses to countenance defeat. His equalizer was a triumph of persistence twinned with the nous of an arch poacher; feeding Mohammed Salah from deep in midfield and careering through Arsenal’s flimsy rearguard to collect amid the ricochets and defensive chaos and tap in to restore the natural order. If his first goal owed something to chance, his second is one that goes down in the chronicles of Anfield with all the flair and bedazzling brilliance of John Barnes at his best. Sadio Mane’s theft of the ball from Lucas Torriera provided Firmino the opportunity to run at the heart of the Arsenal defence but what followed was a thing of beauty as the Brazilian left man after man trailing in his wake. Like a slalom skier weaving past static poles, he pranced and swivelled his way into the penalty area before steering with the surest left foot past Bernd Leno. After a riotous celebration, Anfield erupted in song in salute of a magical goal from a player the crowd have taken fully to their hearts. Firmino’s name cascaded down from the stands in pure adulation and appreciation of a moment that will long in the memory. If Arsenal had briefly threatened to spoil the party, within a couple of minutes the fiercest of responses had reduced them to the role of mere pretenders. Liverpool’s unparalleled front three have taken turns all season to decorate this phenomenal run of twenty undefeated games with their individual talents. The third goal wasn’t quite the same aesthetic treat but still a classic in its simplicity. Andy Robertson’s swinging pass launched over the Arsenal defence was met by Salah with the deftest of touches across goal for the inrushing, marauding Mane to belt into the roof of the net. Yet this wasn’t a Liverpool showing that was wholly about the rampaging delights of the men up front. Gini Wijnaldum’s performance in midfield ranks with the greatest Anfield has seen in decades; his appetite for the battle never sated, his back arched time and again to withstand the pressure of his opponent and emerging with the ball from every conceivable challenge. It is difficult to fathom the muscle and strength of this man and when he took his leave after 82 minutes of remarkable graft, the standing ovation was in keeping with what we had witnessed. Salah’s second penalty of the week after he was barged from behind meant that the supporters feasted on a 4-1 lead at half time. The interval smiles and bonhomie on the Kop concourses tell their own story as the beaming faces contemplate what has been yearned for more than a generation. Liverpool coasted through the second half, although with Firmino’s deserved hat-trick bagged from the spot after 65 minutes Arsenal might have feared a rout in front of a crowing Kop. But the Reds were in a lenient mood, taking it easy, preserving legs for a seminal battle ahead. Liverpool go to the Etihad on Thursday with the look of Champions and a ten point lead over Manchester City and for our hosts, only victory can stem the swarming red tide. 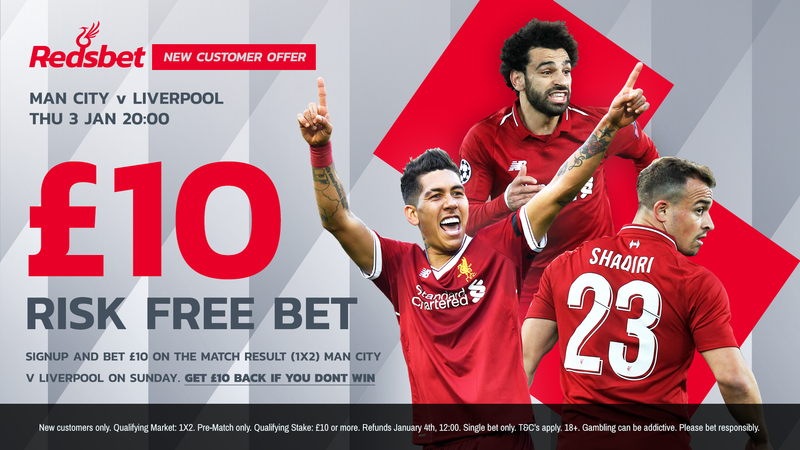 Get on our Risk Free Bet for Manchester City vs Liverpool here!